According to a recent survey of 1,500 chief executives conducted by IBM’s Institute for Business Value, “creativity” was deemed to be the most important leadership skill for the enterprise of the future. So what are the characteristics and traits of creative people? What sort of folks do they tend to be, if any, and how can they be identified, if at all? Paul Torrance was the creator of the eponymous Torrance Test of Creative Thinking, a validated instrument that does a good job of measuring divergent cognition, serves as an additional tool for gifted program placement (beyond IQ tests), and has shown to have predictive ability in measuring future creative achievement and output, as I have blogged about in the past. A fifty year follow up analysis by Mark Runco et al. found that the first four traits in particular showed significant correlation to either professional or personal creative achievement. These subjects are adventuresome and exploratory. They take risks and must confront doubt. Creative people tend to be very persistent, even when confronted with skepticism or rejection. Many creative people are polymaths (people with broad interests in many fields). 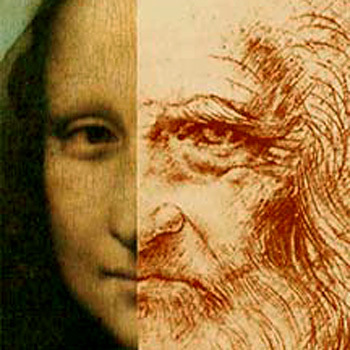 The classic example is Da Vinci. These are passionate and intensely curious individuals, self-motivated and taught, that often come from a family of “creatives” (and, unfortunately, may suffer disproportionately from some forms of mental illness.) Furthermore, I would posit that these characteristics are also those found typically in Generalists, as discussed previously. Given the importance of creativity and innovation to organizations today, using this heuristic as part of a broad strategy of hiring and recruitment should be helpful.